Water is the lifeblood of forest and wetland ecosystems, so it’s important to understand its quality to inform management decisions for ecosystems like these in Stanley Park. Thanks to support from TD Friends of the Environment Foundation (TDFEF), SPES has a spiffy new YSI water quality meter to help us collect the information we need. 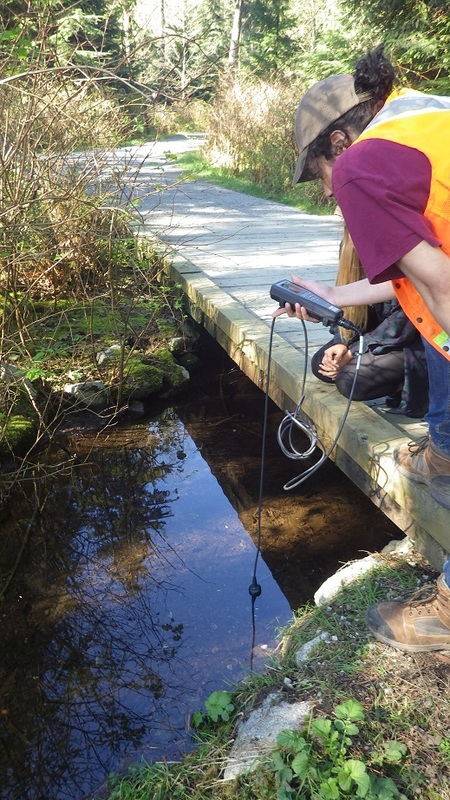 The meter provides instantaneous, accurate, high quality results for a suite of parameters (pH, temperature, dissolved oxygen, conductivity, salinity, oxidation reduction potential (ORP)) that will allow us to monitor and continuously trend the water quality of the freshwater ecosystems in Stanley Park. This instrument will provide us with the ability to establish a water quality baseline for the freshwater ecosystems and track the success of the Beaver Lake Restoration project in relation to the lake itself and its associated watershed. 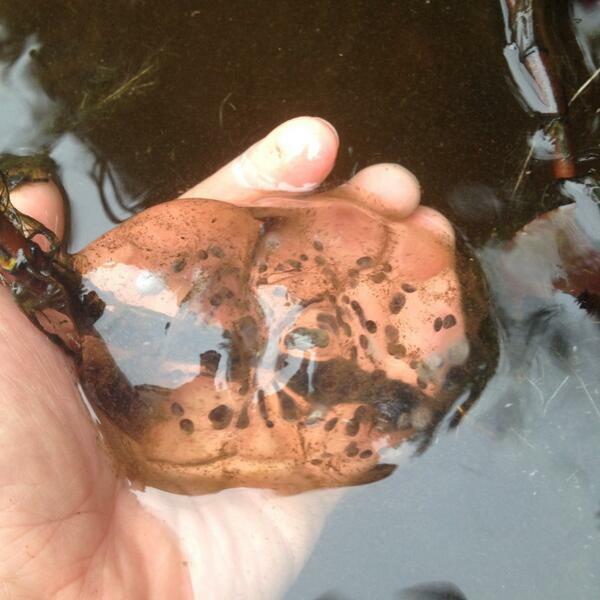 Outside our routine weekly water quality monitoring, we have recently used our new YSI meter to sample the water quality conditions in ponds where we have discovered amphibian egg masses during our spring egg mass surveys. These measurements will help give us an idea of the water quality tolerances of the different species of egg masses we came across. We also collected all the baseline water quality data for UBC students conducting a study on the ephemeral pools surrounding Beaver Lake. Thanks to TDFEF funding, we’ve also embarked on a different type of aquatic monitoring: our new trail camera has been deployed on many night time missions to capture the goings on around the beaver lodges on Lost Lagoon and Beaver Lake. In an effort to identify beaver numbers, we were happily surprised to catch a glimpse of the other species using the shores of Lost Lagoon for foraging – namely American mink as well as raccoons, wood ducks and, of course, beavers.